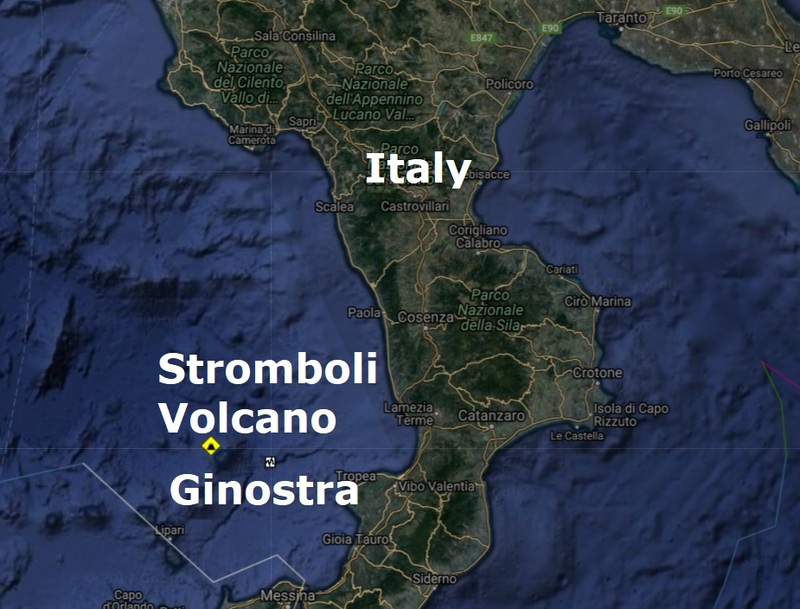 A very strong explosion seems to have occurred on the Stromboli volcano last night around 21:00 local time, friends of ours who are currently on the island of Ginostra, Italy reported. Thomas H. who at the time was in a house near the port (east side of island) wrote: "Last night, around 9pm, a very large detonation occurred at the mountain and the night sky was bright as day, even the window facing the sea towards the east was lit up... my girlfriend believed to hear rumblings from falling rocks, while I suspected this to be rather the sound of strong rain." No trace of such an eruption could be found on the available webcam images in the archive (which are only 3 minutes apart and have probably missed the event), except that they indeed show that rather strong eruptions continue to occur. A few days ago, Thomas reported that strombolian activity from multiple vents continues to be very intense, with explosions every few minutes, including often large ones sending bombs to 2-300 m height.